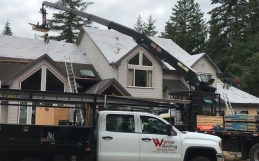 Warner Roofing 2019 New Year Resolutions | Warner Roofing, Inc. Warner Roofing 2019 New Year Resolutions | Warner Roofing, Inc.
For many homeowners, the new year means looking ahead to various home projects that need to happen throughout the course of the coming months. Whether it is a full-home remodel, simple repairs, or larger updates that cannot be put off any longer, homeowners in Clark County are already starting to tackle their to-do lists. If a roofing project is on your list, our roofing team at Warner Roofing is ready and willing to help. We expect 2019 to be a very busy season! Clark County continues to see lots of growth — whether it is people moving to the area and renovating homes or families moving into new construction subdivisions that continue to pop up around the county. Our area is continuing to show signs of steady advancement. 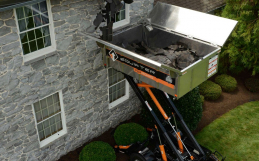 With all this growth in construction and remodeling, there can be a shortage of quality roofing crews. However, at Warner Roofing you won’t have to worry about poor quality workmanship. Our hands-on experience for the last two decades in the Pacific Northwest means that your roofing job will get done right the first time. 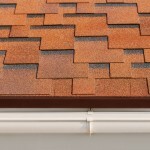 We have experience working on roofing jobs both big and small. We don’t take shortcuts. The safety of our team, as well as our customers, is of utmost importance, so we make sure to follow the rules and secure our job sites to ensure no accidents happen. We wouldn’t be where we are today without our customers! We focus on providing superior communication at each level of your project — from the very beginning to the end when the last shingle is secure. Your satisfaction is our primary objective. Our roofing teams regularly undergo training and are offered educational opportunities to better hone their roofing skills. 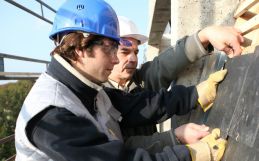 This allows us to bring a higher level of service and knowledge to each job site. Our experienced roofing team loves being at each job site working with each customer. We are looking forward to 2019 being a busy year and would love to talk to you about your roofing project. The best part: Scheduling your roofing appointment ahead of time means you won’t need to call us during a roofing emergency! Contact us today for details on getting a roof replacement with us on the books this year.